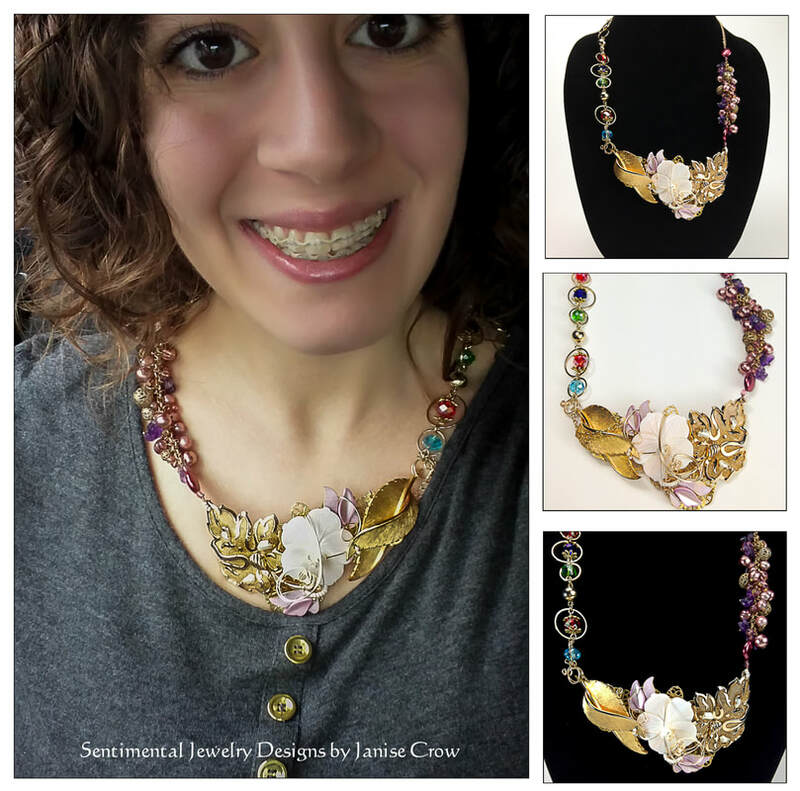 Janise Crow is a multimedia artist whose passion is to make connections and evoke personal sentiment in wearable art form. Her jewelry connects the wearer to a cherished memory, time, or place. She brings personal stories to life by re-purposing your treasured tokens, old jewelry, photos, trinkets, or anything that has sentimental value from a loved one, a place visited, an meaningful accomplishment, or moment in time. It's a delicate balance of past and present as each component is specifically selected to convey the unique message, in the style of the wearer by blending a multitude of materials, colors, textures, and movement. 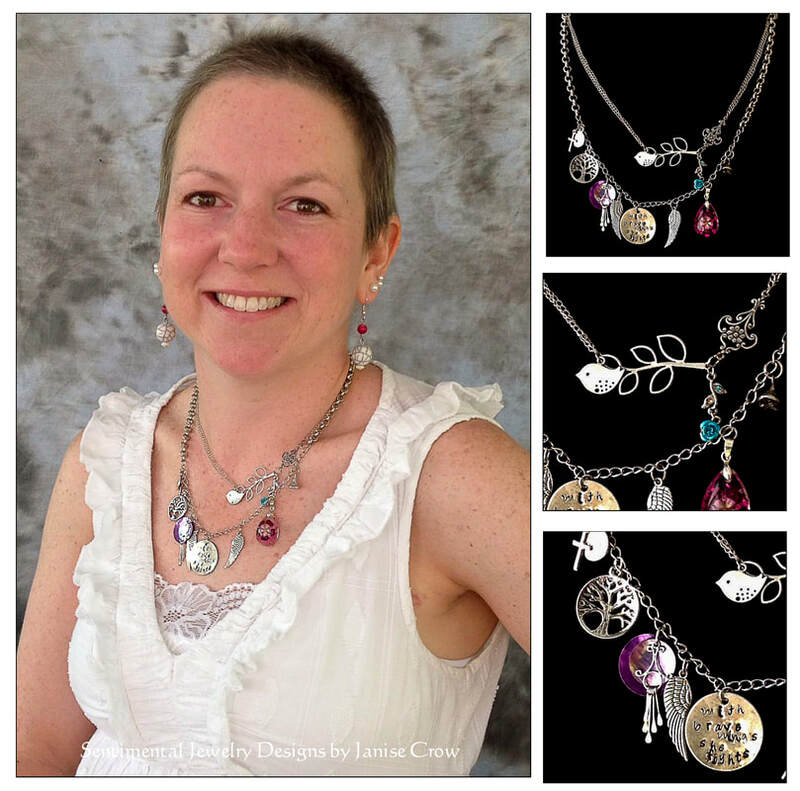 Each custom necklace, earring, bracelet, or ring is a one-of-a-kind original with a personal story. A story of support and friendship. A story of courage & love, the gift of a child. A story of faith & celebration. 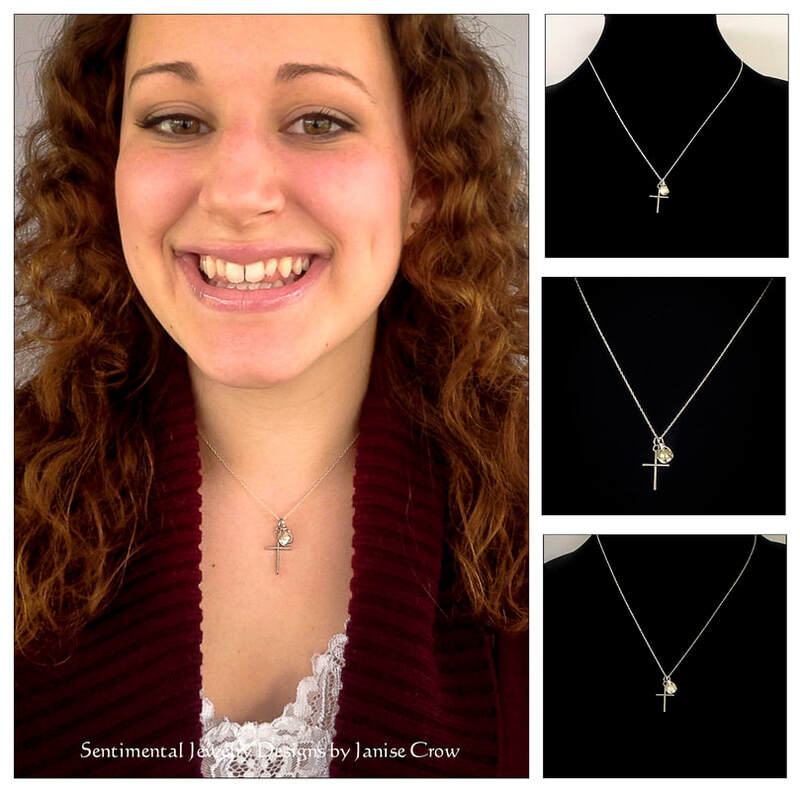 "I am honored to have a son serve our country in the US Navy and having a keepsake necklace in his honor with his photo and birthstone keeps him close."